OCTR Investigators have acquired funding to support an OCTR coordinator for a specific study. More information about OCTR coordinators can be found on the OCTR Team page. Dr. Anders has dedicated her laboratory efforts toward understanding the complex biology/signaling pathways inherent to breast cancer-associated brain metastasis which the goal of moving her preclinical findings into the clinical arena. 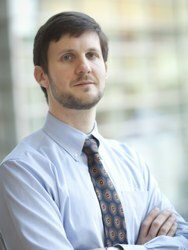 Working within the Perou laboratory, Dr. Anders’ preclinical studies include a genomic analysis of human tissues in collaboration with the Department of Neurosurgery and UNC Pathology, an investigation of breast cancer cell lines with predilection for central nervous system metastasis, and conducting experiments with a validated brain metastasis animal model allowing the study of novel therapeutics, particularly nanoparticle anticancer agents capable of crossing the blood brain barrier, in collaboration with the Division of Pharmacotherapy and Experimental Therapeutics. Richardson and Marilyn Jacobs Preyer Distinguished Professor in Breast Cancer ResearchDr. Carey’s research interests focus upon breast cancer, including examination of different subtypes of breast cancer, evaluation of new chemotherapy agents in early breast cancer, and examination of tumor characteristics that predict response to therapy. 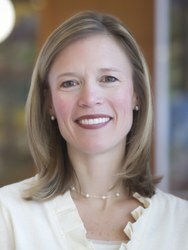 Dr. Carey has worked extensively with scientists across Lineberger Comprehensive Cancer Center and the UNC Gillings Global School of Public Health to better understand and characterize the molecular subtypes of breast cancer so that we may develop better prevention and treatment strategies. With Drs. Perou and Millikan, she identified the elevated risk of the poor-prognosis basal-like breast cancer subtype in young African-American women. She is a world-wide expert in triple negative breast cancer, and led the first trial looking at a new drug regimen in this breast cancer subtype. Professor of Medicine, Division of Hematology and OncologyDr. Dees’ research focuses on breast cancer and novel therapeutics; she is also interested in studying inter-individual differences in chemotherapy associated toxicity. 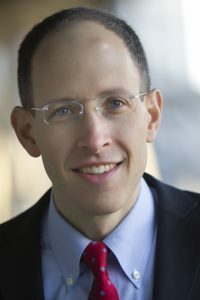 Dr Dees is currently the lead investigator or co-investigator for a number of early phase clinical trials of new anti-cancer drugs and drug combinations for the treatment of patients with refractory solid tumors and is also the principal investigator for several clinical trials of treatments specifically for early stage and metastatic breast cancer. 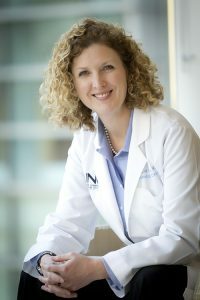 She is the UNC principal investigator for our Experimental Therapeutics Clinical Trials Network consortium; Dr. Dees is the principal investigator for the cooperative group NRG at UNC as well as a co-chair for several national trials through the cooperative group ALLIANCE. Professor, Department of Microbiology and ImmunologyDr. Dittmer’s research interest are to determine the contribution of viral genes in AIDS-associated cancers; Dr. Dittmer’s lab has developed real-time quantitative PCR-based arrays, which allow them to analyze patterns of all KSHV transcripts in PEL and KS. 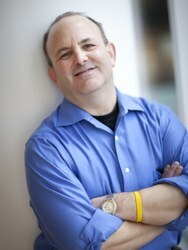 Dr. Dittemer, in collaboration with physicians and researchers at the UNC Lineberger Comprehensive Cancer Center, with the NCI—AIDS malignancy clinical trials consortium, the NCI intramural viral epidemiology group, the Memorial Sloan-Kettering Cancer Center and the University of Miami cancer center, are using this approach to determine the transcriptional responses of EBV and KSHV-associated lymphomas to novel anti-cancer regimens in culture, in mouse models and in patients.Secondly, Dr. Dittmer is actively engaged in the search for new cancer-associated viruses, for instance in cancers which are frequent in low and medium income countries as part of global oncology efforts. Assistant Professor of Medicine, Division of Hematology and OncologyDr. Foster’s research interests involve clinical and translational research in the hematologic malignancies. In particular, Dr. Foster is involved in the design and conduct of phase I and II clinical trials of novel agents and drug combinations for patients with acute leukemias, myelodysplastic syndromes (MDS) and myeloproliferative neoplasms (MPN). Furthermore, Dr. Foster has particular interest in incorporating correlative science studies that can predict biologic response or drug toxicity in patients with hematologic cancers, including both host and tumor genetic variables that predict response to antileukemic agents. Associate Professor of Medicine, Division of Surgical OncologyDr. 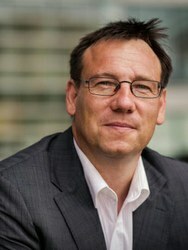 McGuire has a research interest in the incidence of cancer marked by a tendency to spread, especially into healthy surrounding tissue (invasive) and/or ductal breast carcinoma in situ (DCIS) in patients with intraductal papilloma without atypia (IPWA) or flat epithelial atypia (FEA) who have undergone core needle biopsy. Studying tissue samples from patients with FEA or IPWA may help doctors determine how often cancer is identified by excisional biopsy near an initial core biopsy where FEA or IPWA has previously been seen. It may also help doctors advise their patients as to whether they need to have a surgical biopsy, when FEA or IPWA are seen on needle biopsy, to rule out the presence of breast cancer. Associate Professor of Medicine, Division of Hematology and OncologyDr. Milowsky’s career focus is the development of novel treatments for patients with genitourinary (GU) malignancies. The goal is to design GU-specific clinical trials that utilize an integrated genomics approach to characterize tumors for genetic alterations as well as trials incorporating novel immunotherapy agents.Dr. 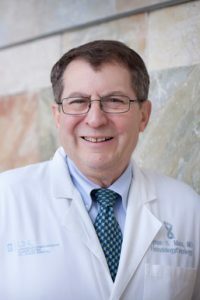 Milowsky is chair of the Bladder Cancer Genomics Committee (BCGC) and the Principal Investigator of the UC-GENOME (Urothelial Carcinoma – GENOnomic analysis to iMprove patient outcomes and rEsearch) project. This important effort involves genomically profiling 200 patients with metastatic urothelial carcinoma at 8 participating academic institutions with the co-equal aims of patient care and basic/translational research. Mary Jones Hudson Distinguished Professorship in Geriatric OncologyDr. 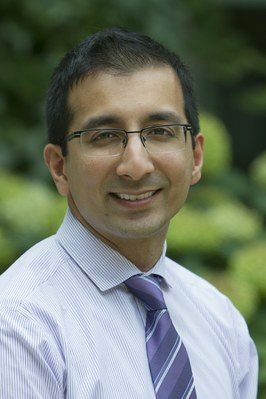 Muss’ major interest is in cancer in older patients with a focus on the treatment of breast cancer in older women; he also has a major interest in biomarkers of aging and geriatric assessment in older patients with cancer. Dr. Muss is also working with Dr. Ned Sharpless in exploring the effects of cancer treatment in older patients on the expression of the P16INK4a gene.Additionally, Dr. Muss and his colleagues at UNC Lineberger Comprehensive Cancer Center have developed the Geriatric Oncology Program for the cancer center including a geriatric oncology consultation clinic. The aims of the Geriatric Oncology Program are to educate physicians caring for cancer patients about the relevant issues affecting cancer care in elders, to develop clinical trials focused on older patients, and to implement the use of a short but accurate comprehensive geriatric assessment (CGA) tool that may predict chemotherapy toxicity. Research Assistant Professor of Medicine, Division of Hematology/OncologyDr. 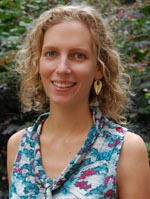 Nyrop is a health services researcher who is involved in intervention and implementation studies focused on preserving function and quality of life in older cancer patients during and after treatment. 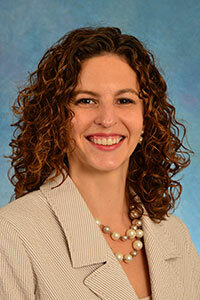 She has collaborated with Dr. Hyman Muss and other members of the Geriatric Oncology Working Group and collaborators on various physical activity intervention studies among cancer patients and survivors. Post-Doc Research Associate, UNC Lineberger Comprehensive Cancer CenterDr. Pergolotti is working to better understand the differences in relative rates of OT use across the state and identify areas of variation or disparity among Medicare beneficiaries with incident cancer. Dr. Pergolotti’s CARE program is randomized trial of a cancer rehabilitation program designed to help older cancer patients who have shown to have a loss of function. This study will be completed in concert with an analysis of the activity participation of older patients with cancer to provide the beginnings of an evidence base from which OT interventions will be designed with knowledge of service utilization, and with a deeper understanding of the social-occupational and situational nature of cancer for older adults. Department of Microbiology and Immunology Director Dr. Serody’s lab is interested in the mechanism by which T cells and antigen presenting cells migrate into tissues to mediate their function. His lab focuses on three broad areas; acute and chronic GVHD biology, pre-clinical models to test tumor vaccines and the function of immune cells in the ability of tumors to grow locally or metastasize and tumor vaccine treatments for patients. 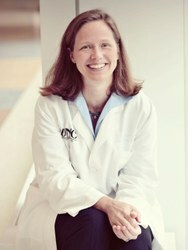 Most recently, the Serody lab has focused on the function of immune cells that block the anti-tumor activity of other immune cells after cancer vaccination.In partnership with Merck and UNC Lineberger, Dr. Serody is leading a major initiative to harness the power of the immune system to fight cancer through a series of immunotherapy trials opening Spring, 2016. Dr. Serody is also the PI for UNC IMPACT, the biorepository which will collect biospecimens for the Merck immune therapy treatment trials .